Hey, NaturallyCurly world! What are you going to be doing Saturday, July 15th? If it's not attending CURLFEST 2017, we don't even want to hear about it. Entering its 4th annual event, The Curly Girl Collective has been doing it for the culture for a minute now. Infused with plenty of curls, music, and inspiring conversation, I spoke with Co-Founder Charisse Higgins about what the naturally curly hair community can look forward to this year. "This is the largest CURLFEST to date!" exclaims Higgins, who notes just how much bigger and better this summer festival has evolved since its infantry six years ago with just 15 people in attendance. "This started out as a meetup after one of the original co-founders, Tracey Coleman, posted her big chop in a chat group," says Higgins. "Some of us decided to get together for a meetup at her house with a stylist. We also did a product swap. Then it grew to a 200-person event which included a panel titled, The Mane Attraction which became popular." Higgins explains how this panel birthed the importance of the brand-influencer relationship at CURLFEST. "The panel starred ChescaLocs and Urban Bush Babes, and people loved it. Now we have Spike Lee, Ursula Stephens, Team Natural, Jenell Stewart, Ownbyfemme, Michaela Angela Davis and Tiarra Monet, among many others." 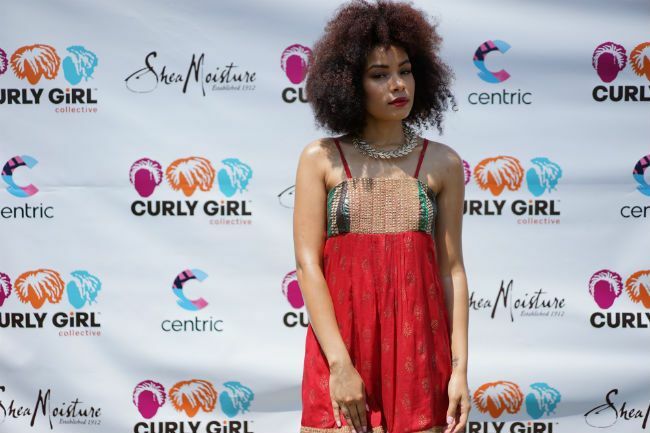 As if the many influential guests who will be attending from near and far would not be enough for you to get up and go to CURLFEST 2017, this year’s festival is empowered by SheaMoisture with a host of noteworthy event partners including IMAN Cosmetics, Crème of Nature, Tropic Isle Living, Mielle Organics, Insecure on HBO, PhytoSpecific and ORS, and many more. And of course, NaturallyCurly will be in Brooklyn to turn up with the community! "CURLFEST is everything we started on in one space. The aspect of natural hair, men, empowering conversations, special brand activations, an opportunity for dope people to vibe in... all of the excitement!" Technically, yes. Did you know that CURLFEST RSVPs crashed the original event page posted on Splashthat? That's how you know it's going to be lit. However, Charisse does remind me that Prospect Park is open to the public, although admission to the goodie bags, special activations, VIP area, etc. is not guaranteed. Still, based on the CURLFEST experience high I am still basking in from last year, I recommend trying your shot at getting in. Visit the Curly Girl Collective site for more information about all the festivities and follow us Instagram in preparation for the upcoming event.